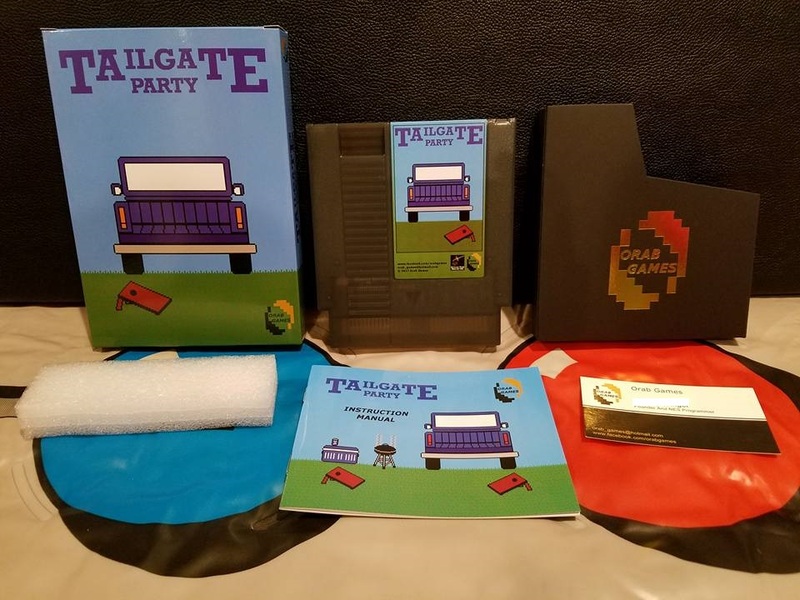 Due to lack of time in my personal life, I have decided to discontinue Tailgate Party for at least 2019. Today will be the last day that I will be taking sales so I can wrap up the 2018 tax season. Thank you to all for your support and I really hope you enjoy the game! Welcome to the Tailgate Party sale thread. Thanks to each and every one that helped me along the way. We worked tirelessly for over 2 years to release a fun and unique Homebrew. Without this team, this game would not be what it is today. 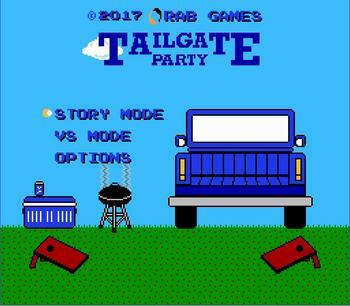 If you enjoy Tailgate Party, be sure to let the team know as well. They all worked hard on this project! Also, thank you ahead of time to everyone that decides to purchase the game and support the project. All of you were our motivation to complete it. 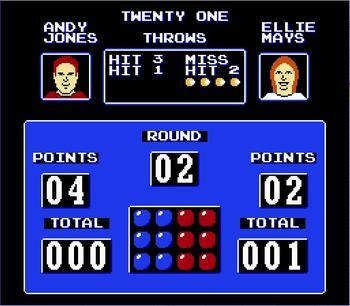 The game has been tested on real NES hardware and the AVS. It is not tested on other clone systems. The system must be able to support GT-ROM and the Power Pad. If you have any questions, please ask. The game is made using GT-ROM boards developed by Memblers Industries. Each board contains flash memory, allowing you to save your progress in the game. You will also be able to reset the cartridge back to factory default at any time. All printed materials are provided through NA member rizz. Eveything is professional looking and very high quality! I can process credit cards, pm for details. Shipping will be USPS Small Flat Rate unless otherwise specified by the buyer. You can either PM me or comment below, please include if you want CIB, CI, or Cart Only. Shipping will be combined if you order multiple copies of the game. Buyer pays exact shipping and handling. 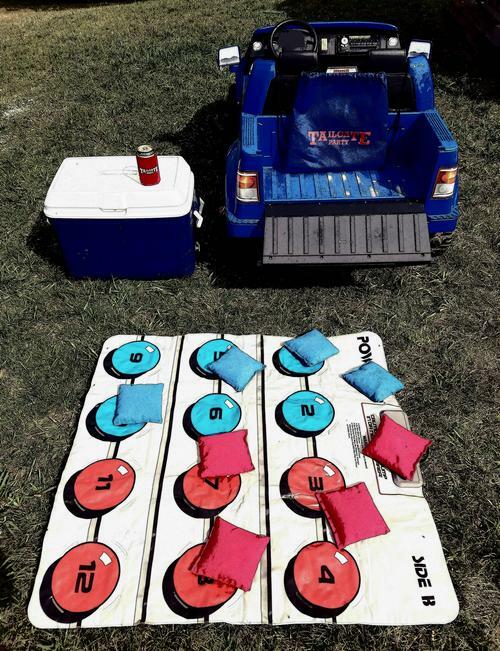 - If you are looking for quality corn bags at a decent price, look up Brad's Corn Hole Bags. Any even number please. Excellent LE package! Top notch! #26 LE and I'm in! Killer LE man. You can tell a bunch of time and effort went into it. Great work. I will take a CIB RE. Wow I am really impressed with this release, I saw it played at NESathon last year and it looked like a blast. I am caught up with the LEs reservations. I will contact each of you shortly. Thanks! 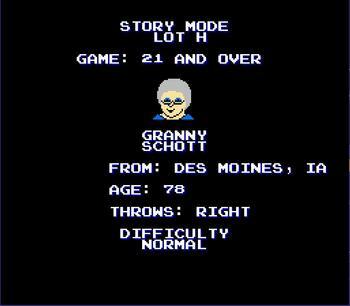 Man... You can tell the 8-bit portraits are great, because I'm pretty sure I can tell who all 4 of them are! Put me down for a regular CIB. "I'm not a nerd, I'm a video game enthusiast"
I have a really hard time watching videos that are recorded sideways. Looks like a fun game from the screen shots. I agree with you 100%, however, it was the only way to get the TV and the entire Power Pad in the shot and still see the animations on the screen. Otherwise, I would have had to back up another 7-8 feet and you can't make out anything on the screen from that distance. Wow! Great looking LE package. I would love to buy a CIB Regular edition and add a can cooler too if there's any of them left over. I think I am caught up with PMs to all buyers. If I missed you, please let me know! I am so proud to have contributed to this project. Amazing job on the project, well thought out and executed! And a respectful sale that's giving everyone a chance to purchase the LEs? Fantastic!!! It was a rough year for me and I wish I had done more for this project, but I'm still happy with what I did contribute. Looks great, super awesome how it all turned out. You da mang! Do me a favor and sign me up for one of those regular editions. This looks amazing! Looking forward to checking this out. Wow... that LE is awesome! Very nice work! Was this at too many games last year? Awesome. That game was fun. I'll take a cart only of the regular version. I need to find a power pad now. Thanks again everyone. I'll get caught up with orders and payments in a bit. Just got home. I'll take an LE. Thanks!